Intranet is a private network that belongs to a particular organization. It is designed for the exclusive use of an organization and its associates such as employees, customers and other authorized people. So, it is like a private internet that is operating within an organization. It is based on the internet protocols (TCP/IP) and is protected from unauthorized access with firewalls and other security systems. So, users on the intranet can access the internet but the internet users can't access the intranet if they are not authorized for it. It is cheap and easy to implement and run. It enables the company to share its data, information and other resources among employees. 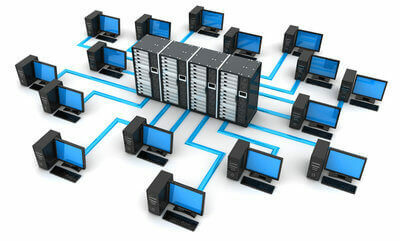 It provides a secure space to store and develop applications to support business operations. It improves efficiency of the company by speeding up workflow and reducing errors.